Meizu has launched a new smartphone called the A5, which is the first in its new A series. 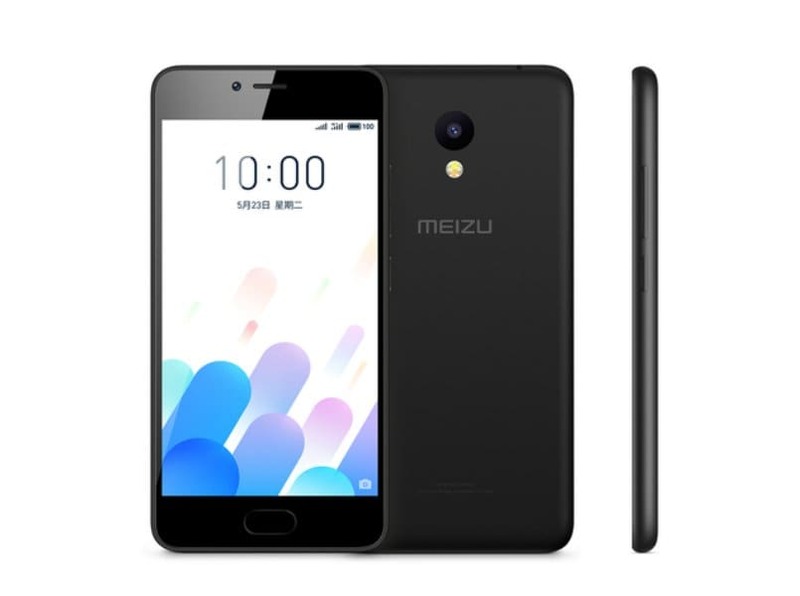 The Meizu A5 has been launched in China and is currently listed on the company’s official website. The smartphone is priced at CNY 699, which translates to Rs 6,700 approximately. The color options for the Meizu A5 include matte black, gold and silver. There is no word on whether Meizu would be launching its new budget smartphone in global markets. The Meizu A5 sports a metal unibody look with the front panel adorned in black. The smartphone houses a physical home button. The rear camera lens is placed at the top centre with the Meizu branding below it on the back. On the right, the power button and volume rocker are present and the SIM tray is placed on the left side. The lacking feature of the Meizu A5 is that it doesn’t feature a fingerprint sensor which is quite easily available on smartphones around the same budget segment. The Meizu A5 offers a decent set of specifications with a 5-inch HD display and a 64-bit MediaTek MT6737 SoC under its hood. The smartphone comes with 2GB of RAM and 16GB of internal storage. There is no mention of expandable storage. In the photography department, the Meizu A5 sports an 8-megapixel rear camera with LED flash and f/2.0 aperture. Up front, the smartphone houses a 5-megapixel camera with f/2.2 aperture for selfies and video calling. The Meizu A5 is fuelled by a 3,060mAh battery. The Android OS isn’t mentioned but it will be accompanied with Meizu’s Flyme OS on top. The connectivity options available on the smartphone include dual-SIM support, 4G LTE with VoLTE support, Wi-Fi 802.11 a/b/g/n, and Bluetooth 4.1. If the Meizu A5 is launched in India with the speculated price tag, then it would be placed in the most competitive price segment. The Meizu A5 will face competition from existing smartphones like the Xiaomi Redmi 4, Micromax Evok Power and the Yu Yureka Black.